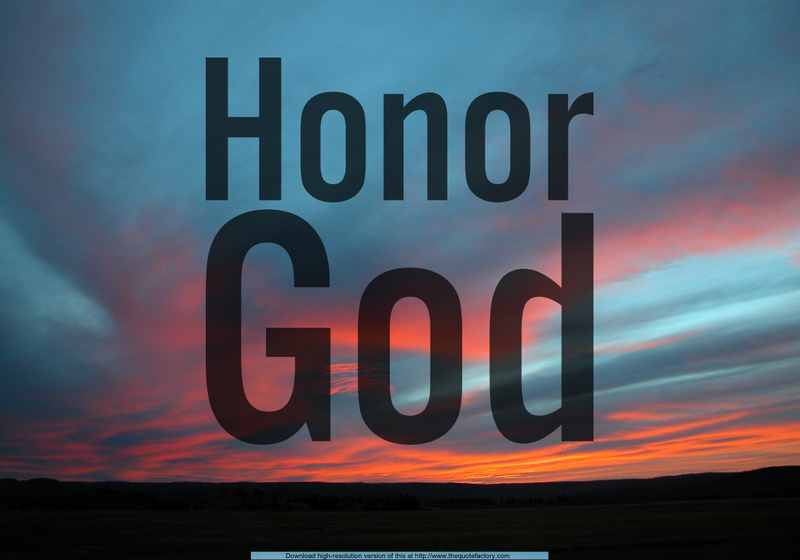 I will honor those who honor Me, says the LORD. I will elevate those who elevate My name. I will make mention of your name before the Father as you confess My name before others and make Me the Lord of your life. I will beautify you with holiness and you will be royalty, says the LORD. For all those who come to Me will be accepted of Me, and I will give you a vital place in My kingdom. My light will be seen on you, and you will be a beacon of light, says the LORD. Make Me your pursuit and My blessings will pursue you, says the LORD. You will not have room enough to contain them. For you will not be empty, but full. You will not be a failure, but I will give you good success. I will go before you and prepare the way for you, and you will not stumble nor fall. For I will enlighten the path, order your steps and take you by the hand and hold you up and keep you from falling. I will provision you and give you more than enough. For all those who trust in Me will be fat and full of My blessings upon blessings as I daily load you with benefits, says the LORD. It is not a vain thing to serve Me, for your works will be rewarded, your faith in me honored and your desires of your heart granted, says the LORD. lifted to you this day. Amen ! Amen! May my life and choices honor you, Daddy. Amen! Amen. Thankyou Lord Jesus for your blessings and favour. I love you Lord Jesus. Yes and Amen Great King.HalleluYah! Blessed is the name of the Lord an savour Jesus Christ. Amen! I will glorify your name forever!halleluia!